SANTA CATARINA MINAS, Mexico — Centuries before anyone ever heard of a margarita machine, before tequila shots became a rite of passage and "with or without salt" entered the bartending lexicon, Mexicans were distilling the exotic fruit of the agave plant. 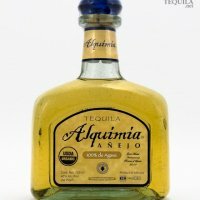 They didn't call it tequila back then. They called it mezcal. But unlike the famous concoction that gave the world household names such as José Cuervo and Don Julio, mezcal — the "poor man's tequila" — has nourished an inferiority complex for decades. Finally, thanks to new quality-control measures and increasingly successful micro-distilleries, fans of the forgotten drink are touting a mezcal renaissance: Exports are rising, new plants are being built and food critics are gushing. "True mezcals are like the finest wines in the world," said U.S. mezcal importer Ron Cooper in Taos. "They change because of the microclimate and the hand of the maker. And they're incredibly diverse in flavor." Many Americans know mezcal as the clear elixir with the worm in the bottle, thanks to a 1950s-era marketing gimmick. Traditional producers never sold it that way. The worm was bad enough, but years of lax quality control and adulterated exports also gave the ancient brew a rotgut reputation, which authentic producers now find hard to dispel. Even in Mexico, where Kentucky whiskey and island rum have pushed aside traditional drinks, many have lost touch with the taste of authentic mezcal. Mezcal maker Eduardo Angeles recalls the reaction he got from an 82-year-old man who recently tried his hand-crafted Real Minero. "He said, 'I thought I was going to die before tasting another mezcal like that,' " Angeles said. Maguey is the common word for agave — Greek for "noble plant." Long before Columbus reached the New World, indigenous tribes used it for clothing, construction, food and, yes, alcoholic beverages. But researchers say Spanish conquistadors first distilled the fermented maguey drink, known as pulque. Though agave-based beverages can be found all over Mexico, mezcal is particularly common in old mining towns. The Spanish discovered that workers tolerated the awful conditions better with a shot or two, said Sergio Inurrigarro, the president of the Cultural Association for the Promotion of Mezcal. The new quality-control laws and a rigorous certification process — now required for all exports — are beginning to redeem mezcal's reputation, promoters said. After the regulations took effect in 2005, mezcal exports dropped as producers struggled to meet the new requirements. But exports to the U.S. are up 5 percent in the first half of this year compared with last year, U.S. trade figures show. And Beneva — which bottles the widely available Monte Alban mezcal — inaugurated a modern $1 million plant Sept. 11 in Oaxaca in southern Mexico, the epicenter of Mexican mezcal production, that's the largest of its kind to date. However, mezcal hasn't entirely outgrown its rough and ready reputation. Although the worm seems to have outstayed its welcome, a new brand has made a big splash by bottling a different kind of critter. The label says it all: Scorpion. The word mezcal means “cooked maguey” in the Nahuatl language, historians say. It was the stuff of bootleggers until 1795, when José Cuervo got a permit to make “mezcal de Tequila,” or “mezcal from Tequila,” the municipality of Tequila in Jalisco state. In other words, tequila is and was the locally produced mezcal, even if modern-day tequila manufacturers would like the drinking public to forget its humble origins. But diversity is mezcal’s strength: While tequila must be made from blue agave, mezcal can be distilled from dozens of species. And just as wines vary by grape variety and geography, mezcal changes from village to village and from one maguey to the next. Production techniques vary, too, but traditional mezcal makers, unlike their steam-cooking counterparts in tequila country, roast mature maguey over wood. That’s what gives true mezcal its unmistakable smoky flavor.